Chronic non-cancer pain is a heterogeneous, physical, and psychological condition that impairs quality of life, resulting in significant physical disability and emotional distress. It includes the nociceptive, nociplastic, neuropathic, and mixed pain types. Pharmacists have a vital role to play in this setting by optimizing the use of analgesic and adjunct medications and appropriately de-prescribing when harm outweighs benefits. The assessment is multi-faceted and includes characterizing the pain, determining patient-centered goals, reviewing pharmacotherapy, and assessing for psychosocial distress using subjective and objective measures. Treatment must be multi-modal and individualized for the specific pain type and patient factors. Chronic non-cancer pain should always include non-pharmacological strategies to address the sensory-emotional complexities of pain. Follow-up assessments should include assessments of adherence, pain control, adverse drug reactions, and disease complications. Patient assessment in the context of opioid use warrants a careful evaluation of risk factors for addiction and overdose, the presence of adverse effects or toxicity, and progression toward patient-identified functional goals and quality of life. International Association for the Study of Pain (IASP): Pain Definitions. https://www.iasp-pain.org/Education/Content.aspx?ItemNumber=1698#Nociceptivepain. Accessed June 4, 2018. IASP Pain Definitions. https://www.iasp-pain.org/Education/Content.aspx?ItemNumber=1698#Nociceptivepain. Accessed June 4, 2018. Guidance for Assessment and Monitoring: Individuals using opioid medications. Alberta College of Pharmacists. 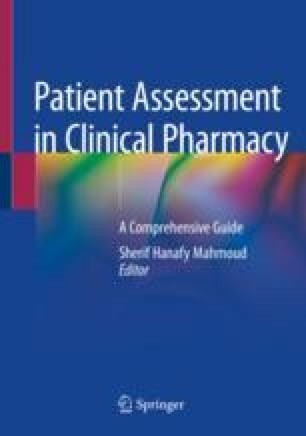 Accessed June 6, 2018. https://pharmacists.ab.ca/guidance-assessment-and-monitoring-individuals-using-opioid-medications. Canadian Guideline for Safe and Effective Use of Opioids for Chronic Non-Cancer Pain. Canada: National Opioid Use Guideline Group (NOUGG); 2010 [2018June06]. Available from: http://nationalpaincentre.mcmaster.ca/opioid/.